Just when you’re thinking to have a good hair day, you catch a quick glimpse of frizzy split ends while having the final glance in the mirror. 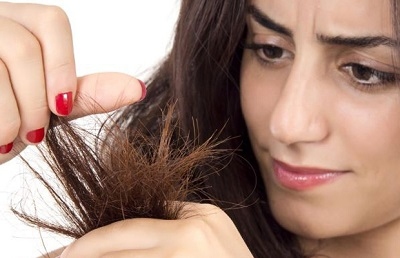 Split ends describe the splitting or fraying of the hair shaft. This is an actual medical condition known as trichoptilosis that develops as a result of mechanical, chemical or thermal stress that has worn away the protective outer layer of the hair cuticle. The damage to the hair shaft can worsen if your body is lacking in moisture and proper nutrition. No need to panic. No need to cut or trim the hard-won hair. This article will reveal safe, natural and effective home remedies for split ends that only require common ingredients in your kitchen. Here are several great home remedies for split ends you can try. To get the maximum results from these masks, it is best to apply them on the middle length and end of your hair. The roots should be avoided because the application of these masks to that particular area will leave your hair with a greasy and heavy appearance. You may be questioning this remedy and that is understandable. 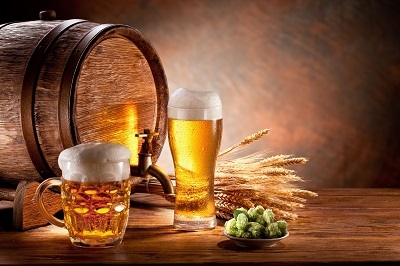 However, beer contains proteins and sugar that have been shown to strengthen hair and mend damaged ends. Shampoo and condition your hair and when done do one final rinse of your hair with beer. The only drawback is that you hair will have some beer smell until your next wash. The natural oils, potassium, iron, zinc, vitamins A, C and E that are found in these ingredients will leave your hair feeling soft and moisturized. They also aid in restoring the hair's natural elasticity and mend breakage. 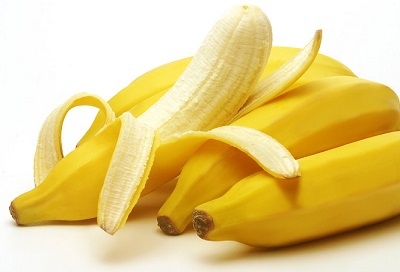 In a blender, mix 1 ripe banana and 2 tbsp. plain yogurt with small amounts of both rose water and lemon juice to create your mask. Apply as directed and leave in place for 1 hour. Wash hair as usual and repeat this process once or twice a week. For all home remedies for split ends, the first you should try is the mask made of olive oil, coconut oil and ripe avocado. Begin by mixing 2 tbsp. 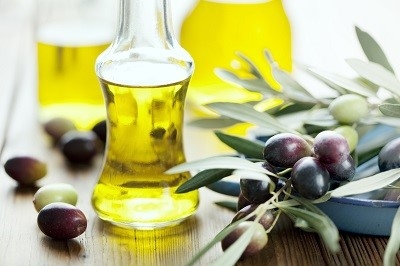 of olive oil with 2 tbsp. of coconut oil. 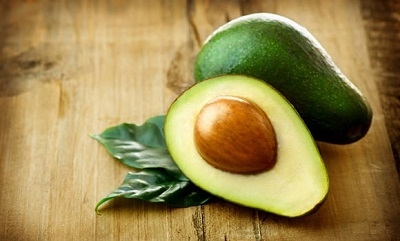 Then add 1 mashed ripe avocado (If you don’t have an avocado, then combined oils will be sufficient). Continue to mix these ingredients together until you notice a creamy consistency. Apply the mask on your hair as previously directed and make a hair bun. Cover your head with a shower cap and a towel, and then wait at least 30 minutes. Shampoo and condition your hair as usual. The end result will be shinier, softer and healthier hair. Dehydration plays a role in causing splits ends, so keeping hair moist is vital. In this remedy, any type of moisturizer is sufficient. Start by taking 2 tbsp. of moisturizer and mix it with 2 tbsp. of olive oil (coconut oil may be used as well). Apply as directed and leave in place for at least 30 minutes. Shampoo and condition your hair as usual. If you incorporate this to your normal hair washing routine on a regular basis in just a short time, you will notice beautiful, healthier hair that is free from split ends. 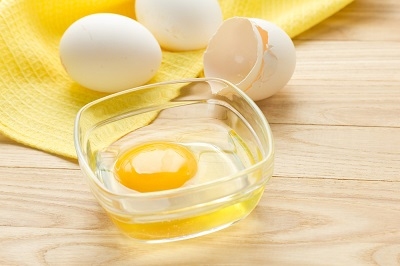 Begin by mixing 1 egg yolk with 3 tbsp. of olive oil and 1 tbsp. of honey. Apply to hair as directed and leave in place for 1 hour. Shampoo and condition your hair as usual. Using this home remedy for split ends at least once every 2 weeks will give your hair a healthier and well-nourished look. Among all home remedies for splits ends, this one can nourish and remedy split ends so as to give your hair a soft feel and shiny look. Wet your hair and towel dry. 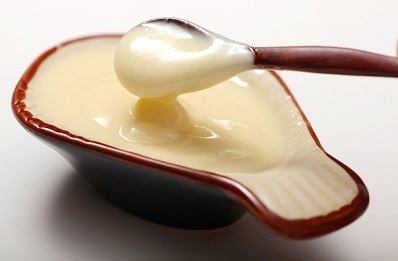 Use ½ cup of mayonnaise and work it into your hair (apply to all hair; this is not used as a mask). Leave in place for at least 20 minutes, rinse hair and shampoo as usual. Repeat this process once or twice a week. Keep in mind that the smell of mayonnaise may be present in your hair for a few days. Except the above home remedies for split ends, here are some protective measures you should include in your daily hair care routine to eliminate frizzy hair and control split ends. Avoid introducing irritating chemicals to your hair as they tend to cause damage. Use a gentle approach when grooming hair, avoiding teasing. When combing your hair, using hair-friendly brush or comb, like a wide-toothed comb, starting from the ends and moving your way up. Use your fingers to untie any tangle instead of combing through it. Choose hair accessories that don’t have the potential to break or damage your hair. Limit exposure to the sun’s UV rays as they can be damaging to hair. You can wear a hat or mix sunscreen into your conditioner. Avoid use of harsh shampoos or those that contain damaging ingredients. Be aware of your method used to towel drying your hair, if not done in a gentle manner, damage can occur. Minimize use of a hairdryer as this dries hair out, causing damage. Avoid hot water when rinsing hair as this strips the hair of its necessary moisture. Treat your hair with deep conditioning regularly. Also, as the lack of essential nutrients was mentioned earlier as a contributor to damaged hair, make it a habit to incorporate protein-rich food into your diet. Some examples include milk, cheese, yogurt, poultry and legumes. Split ends should no longer be a common nuisance if any of these home remedies for split ends are incorporated into your normal hair washing routine. In the near future you will be recognized for beautiful, healthy, shiny, nourished and non-damaged hair. Hair you will never have to feel embarrassed about again. Server responsed at: 04/24/2019 6:01 p.m.